The Monarque style 8 foot Backed Bench provides commercial quality with an architectural design. The added length provides seating for a larger group. 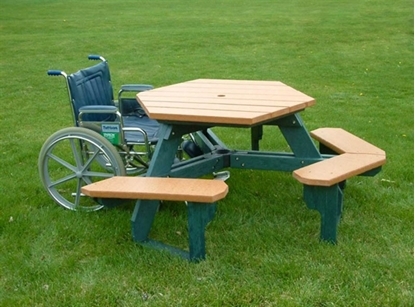 The upscale bench frames are the product of choice for any setting. The 100% recycled plastic lumber construction is held together using stainless steel fasteners making it durable and maintenance-free. It will not rust, or need paint, nor will it scratch. 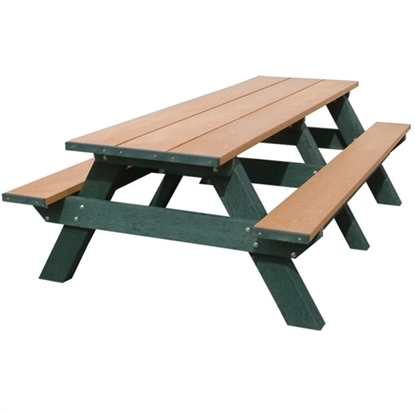 The recycled plastic lumber with rich, bold colors molded-in is available for this product in our full spectrum of offered colors which make them a complimentary and attractive application. Its classy design is an example of a bench that would adorn any setting.